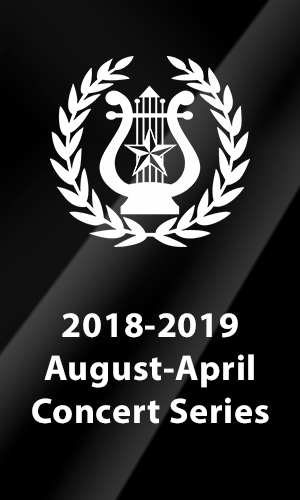 The 2018-2019 August-to-April Concert Series Events are listed below. Tickets are available online or by calling the Institute office at 979-249-3129. Adult $25-$30. Student $10. Overnight accommodations are available on concert weekends. Call the office at 979-249-3129 or email reservations@festivalhill.org to reserve a room. For more information, please contact our office at 979-249-3129 or email info@festivalhill.org.